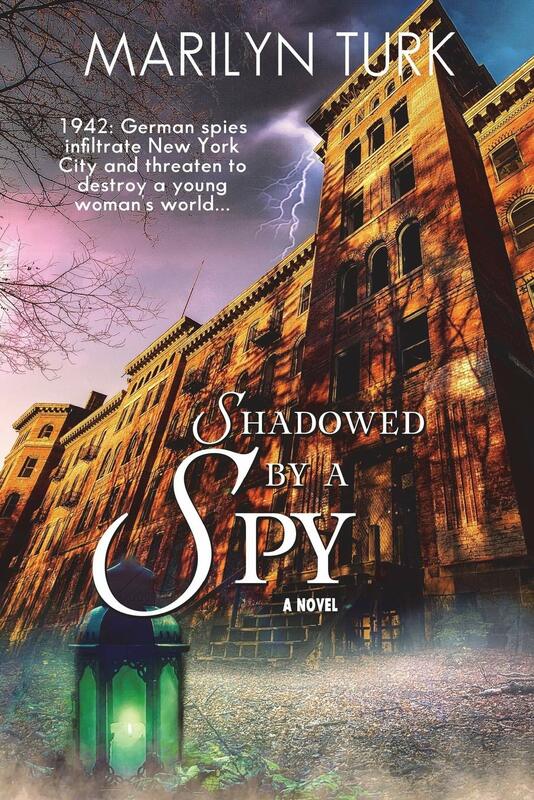 Shadowed By A Spy by Marilyn Turk is a marvelous Christian historical war novel that will have you enthralled from the start. Set in 1942 Marilyn Turk has clearly done extensive research as she blends fact and fiction to produce a fabulous tale. The reader is treated to an epic novel that focuses on patriotism. Patriotism for the American meant something very different to patriotism for the Nazi. Nazis followed Hitler through brain washing or fear or both. Americans were patriotic because they believed in stopping evil and protecting their land and people. The reader hears about war bonds, digging for victory and concerts to raise morale and funds for the servicemen. Everyone wanted to do their ‘bit’. The reader feels the frustration of a character classed 4F. Not everyone can be a serviceman but everyone can serve their country. Nurses were needed at home and overseas. Not all scars were visible. The reader ‘sees’ inside Belle Vue where the mentally ill were treated. Some were soldiers suffering from battle fatigue or PTSD as we would diagnose today. To the modern reader, the treatment is brutal and horrific – sedatives, strapping down, electric shock treatment. There were some very hard to read scenes. Kindness goes a long way to healing. People want to be seen as individuals and not just bodies to be treated. We all face choices. The novel shows the tough choices that some have to make. The novel shows how people can be used to help others make good choices. Who do you want to please? God? Or people? God’s opinion is the only one that really matters. People are fickle. God is trustworthy and faithful. At times we may wander far from God. It may be a conscious decision or we may just wander our way to a life of disconnection from God. I adored Shadowed By A Spy. As a historian with a passion for all things WWII, I was in seventh heaven reading this book. Marilyn Turk always produces stories that grab my attention and leave me wanting more. Her characters are likable and realistic. They are not perfect but that is good news as they are just like us, showing the everyday struggles that we all face. 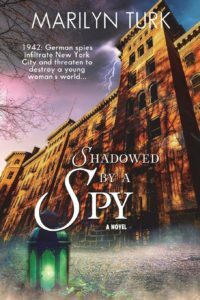 If you have never picked up a Marilyn Turk novel, you are missing out – remedy it today and grab yourself Shadowed By A Spy. A wonderful, warm, welcoming tale.